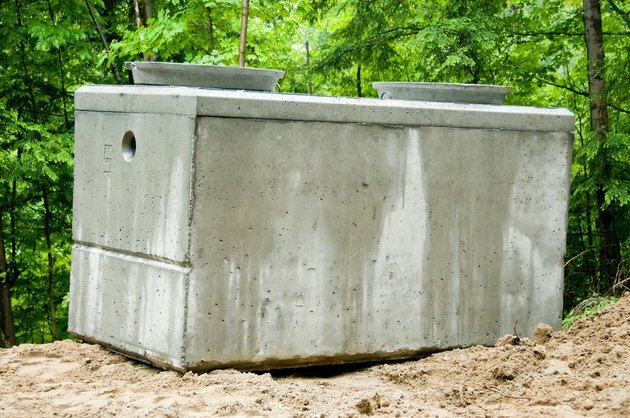 A concrete cistern is used to hold water collected from rainwater or to hold drinking water. If the cistern breaks or cracks, the cistern will no longer hold water. 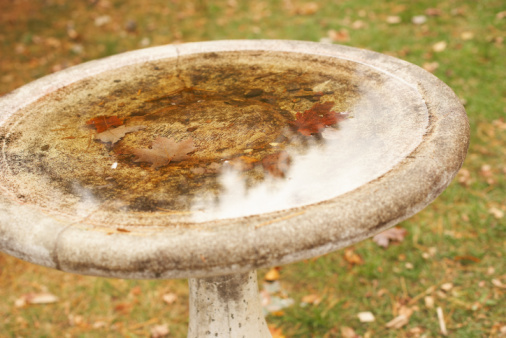 Repairing a concrete cistern is a simple process that will enable it to hold water once more. This project should take two or three days to complete, with much of the time spent waiting for concrete to cure. Break away any loose concrete from the cistern with the chisel. Use the brush to wipe out any loose particles to prepare the surface for applying new concrete. Wear safety goggles and rubber gloves when working with acid. Wash the surface of the concrete with muriatic acid to eat away any loose particles and to rough the surface of the cistern so that the new concrete will bond with the original concrete surface. Brush a cement adhesion booster over the surface of the cistern where you will apply the new concrete. Allow the solution to dry for about two hours, then brush on one additional coat. Allow this coat to dry for two hours as well. Use a sponge to dampen the surface of the area you wish to repair on the cistern. This will help the concrete bond better and prevent cracks from forming during the drying process. Mix the concrete with water until it reaches the consistency of thick mud. Pack the concrete into the hole to fill the broken area. Use a trowel to smooth the concrete and feather it out over the old concrete to create a tight bond between the old and new concrete. Allow the concrete to dry for 24 hours. Dampen the surface of the concrete several times throughout the concrete drying process using a sponge dipped in water. This will prevent the concrete from curing too quickly and cracking, chipping or breaking under the pressure of the water evaporating too quickly. Use a caulk gun filled with a slightly watered down cement mixture to pump cement into any cracks in the cistern walls. This will seal the cracks and help prevent the cracks from spreading. Use a trowel to smooth out the cement over the sides of the cracks. Allow the cement to dry for 24 hours before filling the cistern with water.